Who says Mondays aren’t fun? 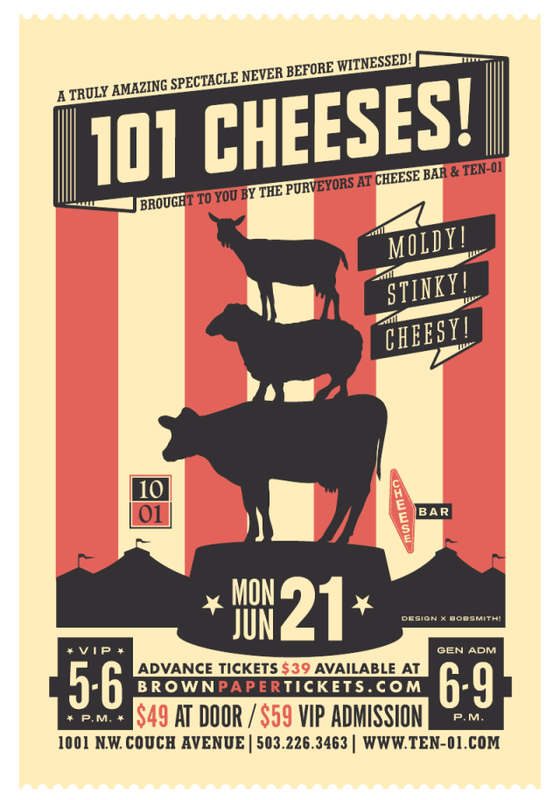 Join Steve Jones of Cheese Bar tonight at Ten 01. I generally hate Mondays, but a cheese event tonight at Ten 01 caught my eye as a being rather awesome diversion on this first day of another cloudy, soggy week. For 39 bucks (but only if you book in advance this afternoon), cheese lovers will get face time with Portland’s cheeserati leader Steve Jones, proprietor of the recently unveiled Cheese Bar, will receive two drink tickets for wine or beer, and will have the opportunity to eat all the cheese that can be stuffed into one’s face. Jones will be showing up at 5pm for a VIP hour (ten bucks more), and general admission is 6pm to 9pm. This event costs $39 in advance and $49 at the door.